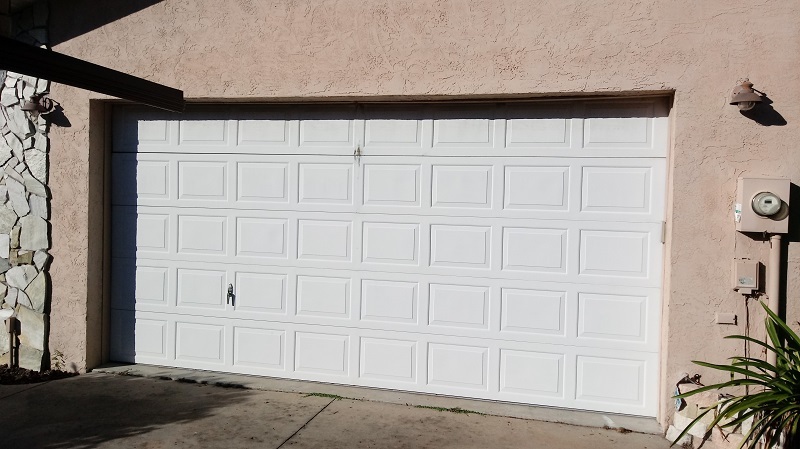 On this job we removed an old Raised Panel Steel Door and installed a new Insulated Long Raised Panel Steel Garage Door – C.H.I. 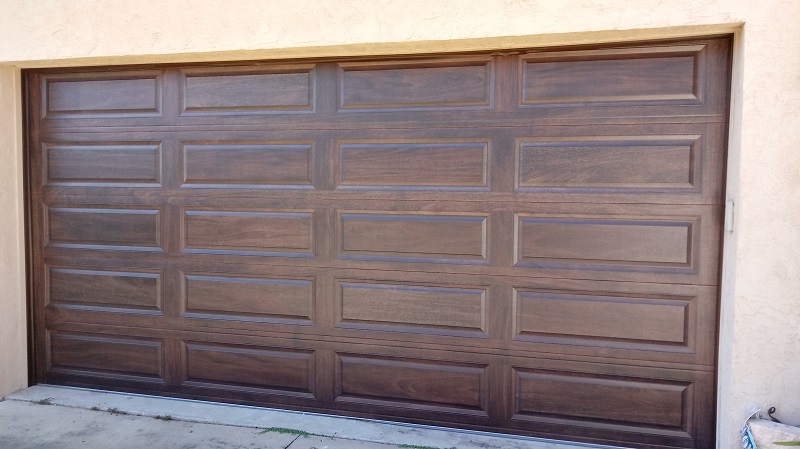 Overhead Doors Model 4283 with Mahogany Accents Factory Finish. The finish process begins with a digital scan of real wood which provides accurate grain details in a non-repeating pattern. The computer controlled paint application system changes the grain direction just like you’d see in a real wood door. A clear top coat with a UV inhibitor is then applied to keep the finish looking new for years.